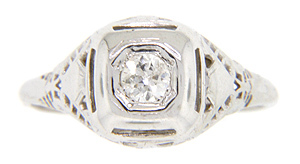 This 14K white gold antique engagement ring is set with a .35 carat, I color, Si clarity diamond. 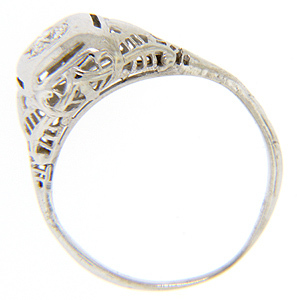 Geometric designs decorate the art deco ring’s shoulders. 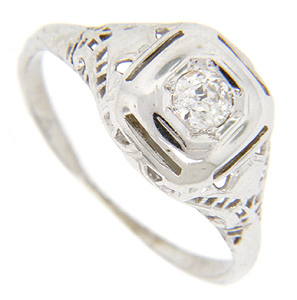 The ring measures 9.5mm in width. Circa: 1920. Size: 6. We can resize.